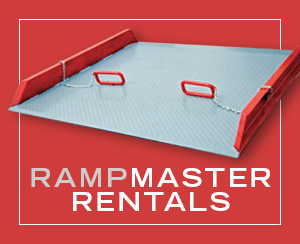 Rampmaster’s portable ramps are made of high tensile lightweight aluminum treadplate surface for improved traction. Includes a 6″ apron for attachment to any building or truck. 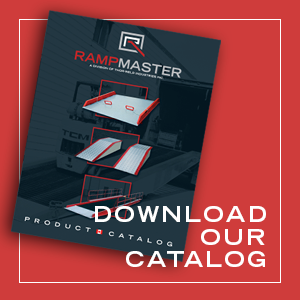 Vehicle ramps are available in various lengths and capacities. Cars with lower under-clearance will require longer ramps. Please call for more information before ordering. 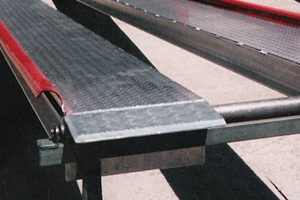 3″ curb on outside edge – no curb inside reduces the chance of a hangup.